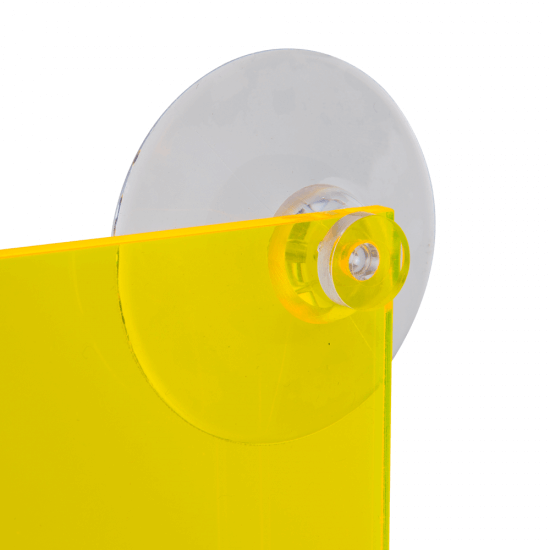 Easily display posters or signs from your window with a suction cup complete with a thumb tack to secure your graphic in place. Rather than having to use messy Sellotape or Blu Tack, the Thumb Tack Suction Cups are a much more efficient and discreet accessory for your display. 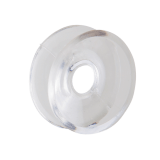 What material are the suction cups made from? 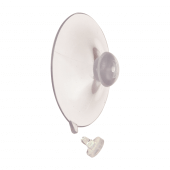 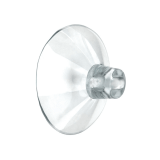 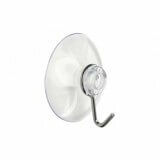 The suction cups are manufactured from clear PVC with a removable clear tack. 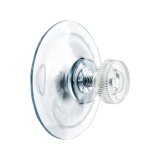 What can you use the Suction Cups for? The Suction Cups are ideal for affixing posters to a glass or window display without leaving behind a mark, so your posters or graphics can be clearly seen by passing customers. 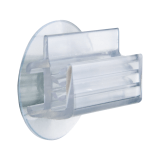 The Thumb Track Suction Cups are supplied in packs of 100. 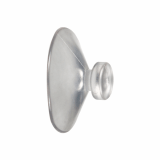 We offer a variety of different Suction Cups and Suction Hooks to suit your needs.